I hate crumbly messy play-dough. It ends up all over the floor and all over the back of my daughters pants by the time we're done. I love that my daughter will play with it for hours, but I hate the mess. This recipe is the perfect solution. 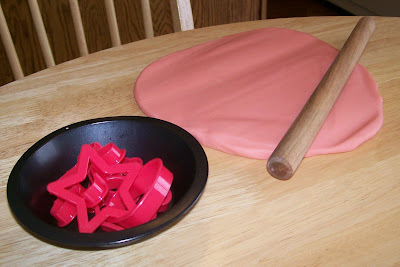 This play dough stays nice and moist and doesn't leave behind all those messy crumbs that the store bought kind does. It's fun for kids to pick the color and scent they want with their choice of kool-aid.